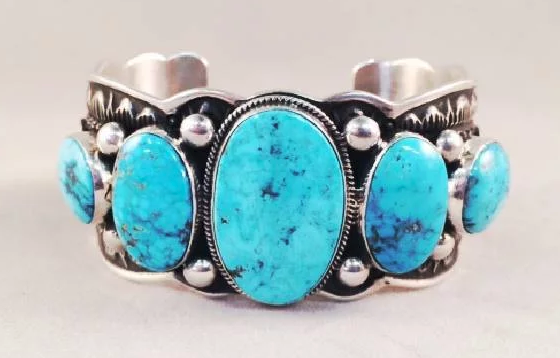 New Mexico jewelry merchant Nael Ali will soon become the first person ever sentenced under the Indian Arts and Crafts Act (“IACA”), a decades-old federal law that prohibits the sale of fake Native American goods. Under the IACA, a law that has been cited in just a handful of court opinions during its 83-year history, “[i]t is unlawful to offer or display for sale or sell any good . . . in a manner that falsely suggests it is Indian produced, an Indian product, or the product of a particular Indian or Indian tribe or Indian arts and crafts organization[. ]” 18 U.S.C. § 1159(a). The penalties for violating the IACA are steep: a first-time transgressor who displays offending goods for sale worth more than $1,000 faces a fine of up to $250,000 and a five-year prison sentence. See 18 U.S.C. § 1159(b)(1)(A)(i). And a repeat offender—regardless of the value of the goods offered for sale—may be sentenced to prison for fifteen years and fined up to $5 million. See 18 U.S.C. § 1159(b)(2)(A) and (B). Ali pleaded guilty to violating the IACA in October 2017, roughly two years after he was indicted. He readily admits in his plea agreement that “I knew that many of the pieces of Native American-style jewelry I displayed for sale were not made by [Native American] Indians but rather made by laborers in the Philippines.” “Nonetheless,” Ali concedes, “I mixed the Philippine-made jewelry with Indian-made jewelry, and I never labeled the Philippine-made jewelry with its country of origin.” In February 2014, Ali’s store sold one of the counterfeit items to an undercover agent of the Fish and Wildlife Service after misrepresenting that it was Navajo-made. And several months later, Ali was formally charged. As a first-time offender, Ali faces the less severe of the two possible sentencing options under the IACA, plus “restitution as may be ordered by the Court.” That is, in addition to potentially having to pay a $250,000 fine and serving a five-year prison sentence, Ali may also have to pay back everyone who he swindled into buying fake Native American jewelry. Although Ali’s sentencing hearing was originally scheduled for March 27, federal prosecutors have moved to postpone the hearing until mid-April in light of their discovery that Ali “may have used mass marketing to market the fraudulent sale of his jewelry.” This recent development could have negative consequences for Ali, who may now face a steeper sentence than before. Regardless of its duration, Ali’s sentencing serves as an example to any other would-be counterfeiters of Native American jewelry. As the DOJ remarked in the press release it issued upon indicting Ali, IACA “provides critical economic benefits for Native American cultural development by recognizing that forgery and fraudulent Indian arts and crafts diminish the livelihood of Native American artists and craftspeople by lowering both market prices and standards.” The DOJ has made clear that it will not tolerate violations of this law.